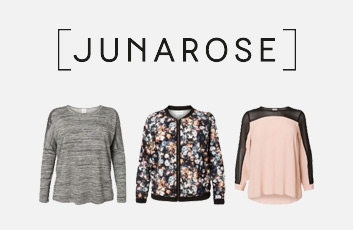 JUNAROSE offers plus-size clothes for women, and is part of the company BESTSELLER. BESTSELLER is a family-owned clothing and accessories company founded in Denmark in 1975. They provide fast affordable fashion for women, men, teenagers and children.